12.63" x 16.13" x 10.2" 2.82” x 1.97” x 1.22” 12.700" x 15.761" x 9.572"
Scott Essential provides reliable balance of efficiency, performance and value. 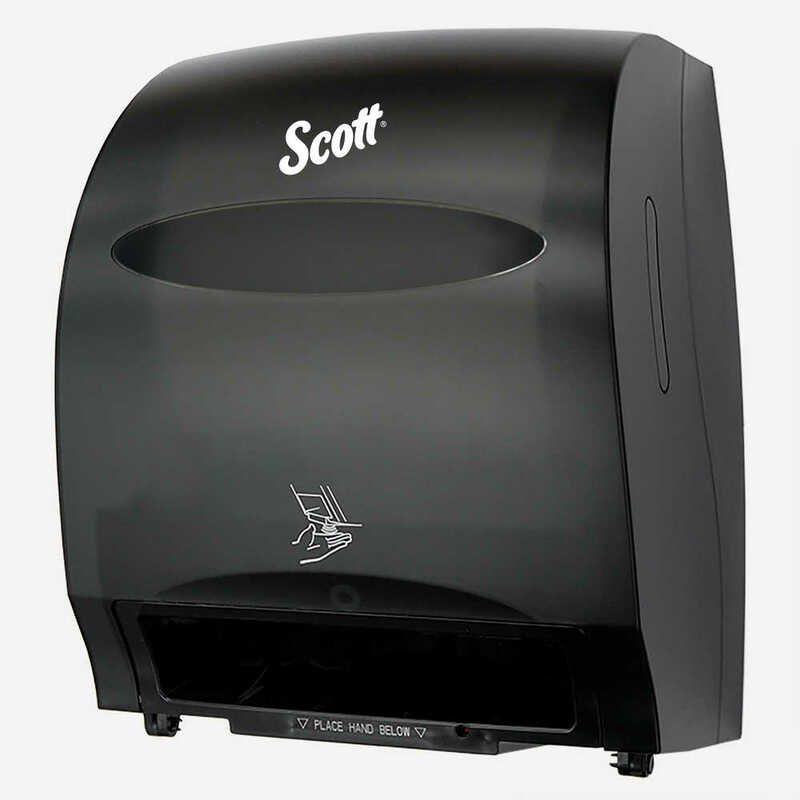 You have more important things to worry about than paper towels, so you can trust the Scott Essential Towel Dispenser System. As a Scott Essential branded system, it’s a simple solution to keep you moving in a hectic, fast-paced world. The electronic paper towel dispenser offers up to 5-year battery life: more than 120,000 dispenses on one set of batteries, equal to 60,000 hand dries. It is 99.9% jam-free to ensure that you never miss a hand drying occasion, minimizing risk of cross contamination. The cover is durable, shatter-proof and transparent cover, so you can check supply levels without opening the dispenser. It’s ADA compliant when properly installed and when using the recommended paper towels. 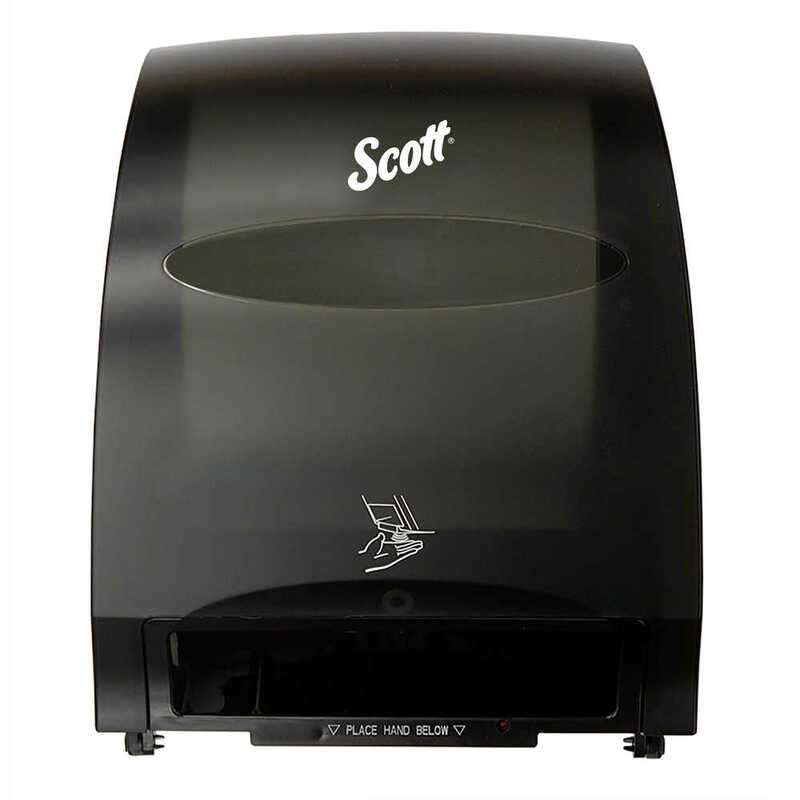 The Scott Essential Towel Dispenser System is backed by a lifetime warranty and is designed to save you time and money, while reducing service disruptions and user complaints. It takes the worry out of paper towel dispensing, so you can focus on more important things. 99.9% jam-free to ensure that you never miss a hand drying occasion, minimizing risk of cross contamination.